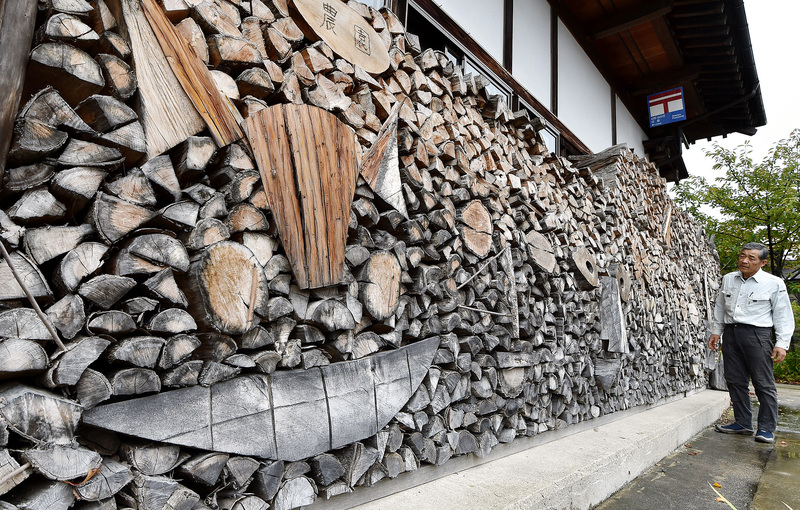 For Reijiro Tsukida, 70, woodpile is a work of art. Using firewood for his wood-burning stoves at home, the flower grower creates mosaic. 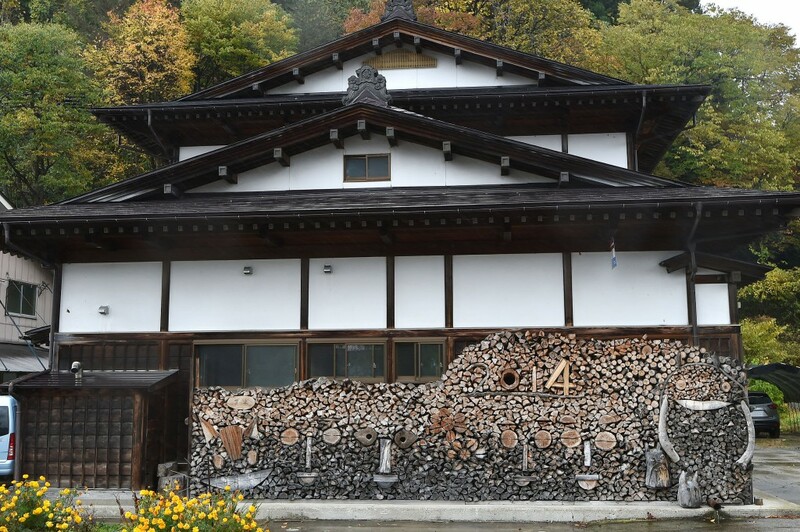 The artwork is built out of konara oak firewood he keeps under the eaves at his home. Each piece of firewood has different colors and tones, and all are in different diameters. He builds motifs making use of all such unique features of each piece of the materials, sometimes placing them in different angles. The patterns he chooses are also varied from famous animated characters to his own family and flowers he grows. Every spring, he goes to the surrounding mountains to cut trees and make his own stock of firewood. About 10 years ago, he started creating mosaics out of the firewood as he thought just stacking them was not much fun. Meanwhile, the motifs are also making his flower farm famous as they sit right next to a national highway and are seen by many drivers. “Wood-burning stoves are our favorite heating option in winter. 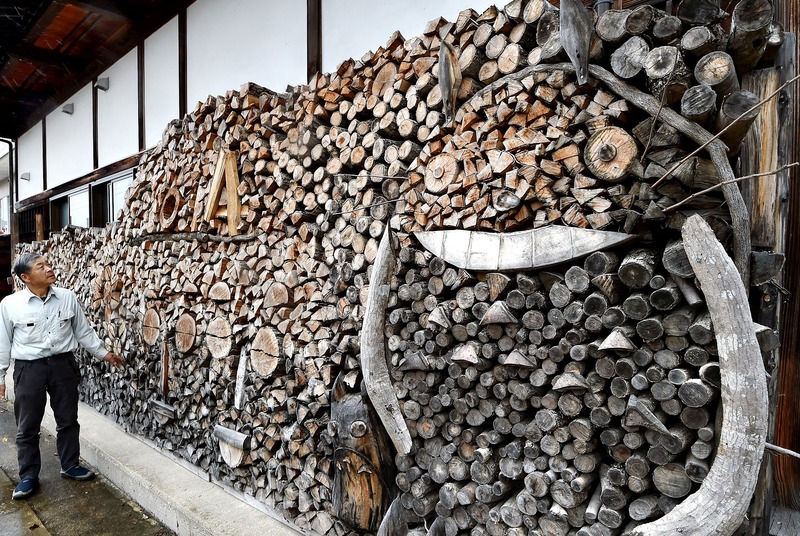 I hope this woodpile art will help many to notice how we can enjoy the blessings of nature and make our life rich and pleasant,” he said with a smile. He will be making another mosaic with new design this winter as well. This entry was posted in Food & Agriculture, Photos and tagged News. Bookmark the permalink.